I just bought tickets for Yes’ US Summer tour. They will be in my town on August 14. Can’t wait! Hi Kevin! “Abilene” is B-side to “Don’t Kill the Whale”. As “Money”, they are out of the Tormato sessions and not from Paris. Yes I was wondering about that as I was saying it! Thanks for the reality check! “Love Conquers All” *is* Yes! It’s from the Yes (aka Yeswest) sessions which contributed to Union. The main voice and guitar intro is Trevor Rabin. Fair point again, Miguel! Thanks for keeping me on track. This is the Yes period I am most hazy about! The documentary you allude to–where Jon, Alan, and Trevor are discussing Roy Thomas Baker and Jon sings “Picasso” is from the YesYears documentary. It’s not in the MTV documentary. Thanks, Kevin. Yes I got really confused with what I found on YouTube! Good to have that clarity! Just a quick thought I believe we have the greatest Yes magazine already …..that’s right it is You! I cannot believe the plethora of information that your podcast brings each and every week! So much Yes…..related information in one place is truly a Yes haven for all things Yes! Thank you for all the wonderful insights and thanks to all your listeners that have made this the best place for all things Yes! 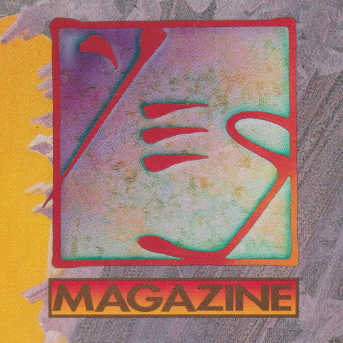 Kevin, I have never read YES magazine, but this podcast led me to excavate my old YesYears compilation from my closet after 15 years of gathering dust. I bought it on cassette the day I saw it in my local record shop back in 1991. I enjoyed the unreleased material, particularly the BBC session of Something’s Coming which I had never even heard of before this release. I also enjoyed the booklet. Before I ever heard of the Internet, those old photos of the band were rare jewels. I did not like the cover art, the chronological arrangement of the songs or listening to Tony Kaye dumb down the live version of Heart of the Sunrise (sorry – that’s how I have always seen it). I really liked the Pete Frame band family tree, and I remember the biggest revelation I got from that was the fact that Rick Wakeman had recorded 15 solo albums during the 1980s! I had no idea what Rick had been up to besides ABWH! OK, time to put the box set back in the closet. You also mentioned something about CD longboxes. I don’t know what it was like in Europe, but here in the states there was a bit of controversy over how CDs were being packaged. Into the early 1990s CDs were stored in huge, stiff plastic containers that were meant to be stored in empty 12 inch bins meant for vinyl LPs. Lots of musicians were campaigning to end the use of all the extra packaging, as they viewed it to be very wasteful. I seem to remember Sting and Peter Gabriel making a considerable racket in opposition to these huge CD cases. They must have finally won, because I have not seen CDs packaged this way in at least 20 years.